Cute, right? $62 cute? Not. Even. Close. So, I went to the Army Navy Surplus and bought this for $6.99. I spray painted it with some paint I already had and then I ordered some vinyl letters from here. Finished product? And for less than 1/6 the cost. Mine is too! That is so cute. How on earth do you figure these things out?? I would NEVER think to go to the army surplus for that. I would pay the ridiculous amount of money. You are amazing. I have never met anyone as smart or crafty as you! How are you with curtains . . .
I’m more interested in that ammo can. Just where exactly is the Army Navy Surplus, and do they have more of these tins? Do any of them come with ammo? Look how innovative you are. Ammon, don’t act like you don’t know where Army Navy is. You probably own one of the naked lady pocket knives they sell for 99 cents by the register. And they have them at Walmart?!?!? ‘Course then I’d have to go to Walmart, and I just don’t know that I’m up for that. I was just headed to town to buy me an expensive cute flour/sugar thingy today. Thanks to you I'm going to Smith & Edwards instead! Whoo hoo! Well done. I say sell them for 40 bucks instead! oohh…i might have to make me one of those. and we just happen to have an army surplus store close by! You make more things in one day than I do in a year! I only have two kids…what is my problem??? 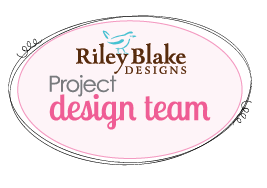 Thanks for linking my site you ROCK! Do you mind if I steal your picture and post it to my site so they can see your cool handywork with my vinyl??? Your head is going to get WAY too big from all the praise everyone is slathering upon you. I am going to keep what I think about your creative ideas to myself. Really, I am the best friend you have. That looks great! Love your creativity and frugality. Now, do you actually transfer your soap out of the cardboard box and into the cool container? That’s where I’d get stuck. That is so cute I may have to switch my detergent preference from liquid to powder. Amy, I really do use it to hold my diswasher powder. I was on a mission to clear out the counter under my sink so I could keep my recycling down there. AWESOME!! I love knocking off Ballard! OK – I think we're going to have to change the name of your blog to "Brilliant Stuff I've Made"! I love this "Detergent" box at Ballard, but it's too large for my space. With your idea, I can find something smaller & make it work. AWESOME! 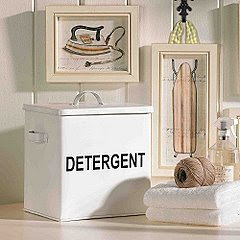 Do you mean that I can find the ammo cans at WalMart or a detergent bin similar to the one featured here? Also, would you please tell me the size and name of the font you purchased? This canister would be fabulous for storing cat or dog food!